Student Friendly Readings in English, Spanish, and Haitian Creole and Reading Guides in English We now have the Student Friendly Readings in three languages, and a reading guide in English that can help students with their understanding, crafted with the help of literacy experts from UCF. New Student Friendly Videos We have a collection of new videos, ranging between 5 and 10 minutes long or so, that break down the content into easy to understand visuals and text. 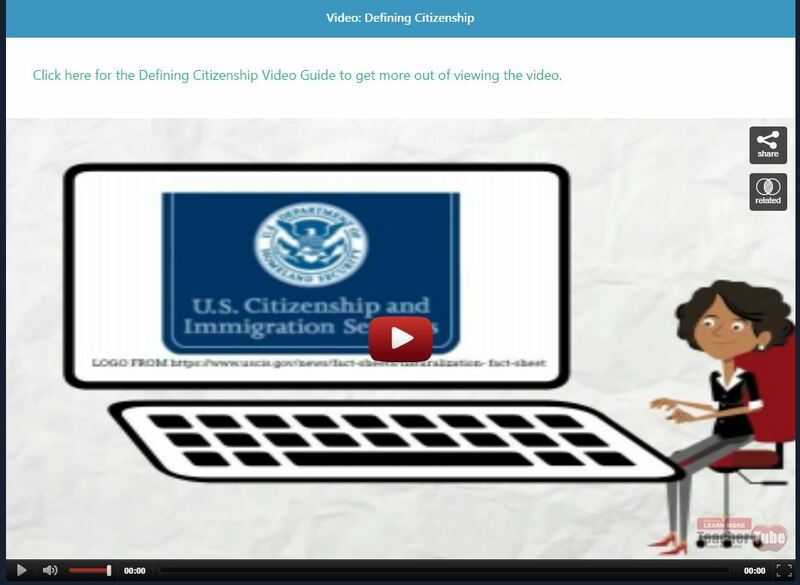 We have also included video guides to aid in understanding. Please note that currently half of the benchmarks have videos; we are working hard to complete the remaining benchmarks! 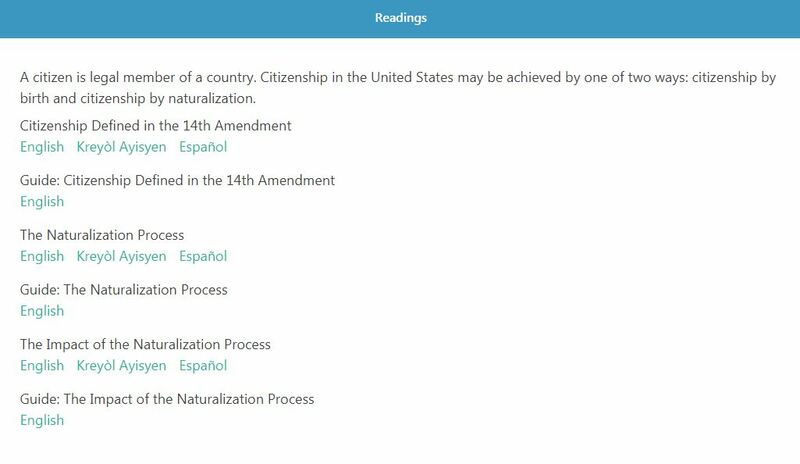 Additional New Features Additional new features include new vocabulary tools, digital quizzes, a brand new practice assessment that provides you with student reports, and more. Our main website at Florida Citizen has a number of resources that you could find useful. 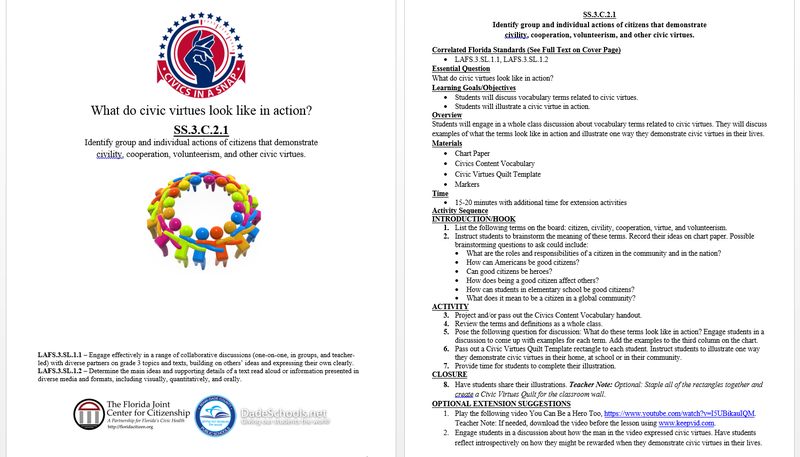 Of course we have our traditional lesson plans for the middle school civics course. 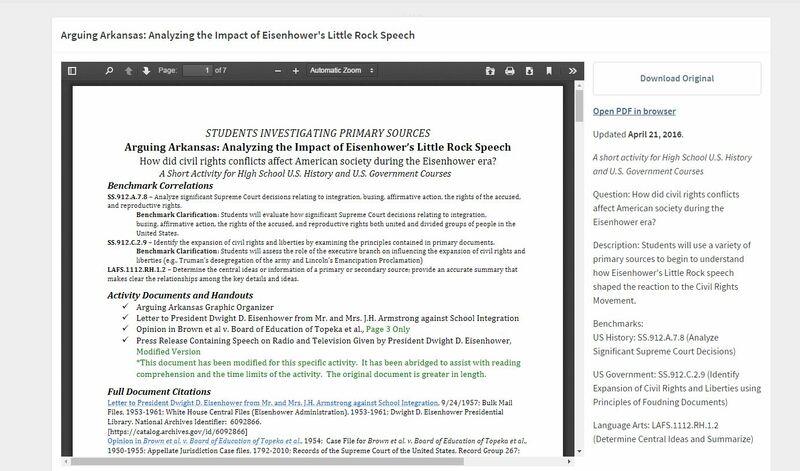 These lesson plans are all aligned to the benchmarks and benchmark clarifications, and include content elaboration for the teacher, relevant vocabulary, and a step by step walk through of instruction. We also have Students Investigating Primary Sources. This series of lessons for grades 2-12, developed in collaboration with the National Archives, provide students an opportunity to 'play' with primary sources around relevant topics aligned with Florida history, civics, and government benchmarks. You can learn more about the SIPS lessons here.